Pain is something most of us instinctively avoid whenever possible. For many, that means taking medications when we get hurt or heading to the closest Urgent Care or Emergency Room in order to make some doctor or nurse fix the problem. While that may be a short term fix, without taking the time to discover the source or reason why the pain is occurring, pain simply returns, and sometimes more intense than ever. At Tricounty Chiropractic and Rehabilitation in Pottstown, PA we are committed to pain management and will work hard to find what form of treatment will work best to keep your pain at bay. Chiropractic care uses non-invasive treatments to help reduce pain and facilitate healing for musculoskeletal injuries of the spine as well as other parts of the body. One of the most attractive components of chiropractic care for many is that it is a form of pain management that does not use drugs or medications, which may cause side effects or health problems. When the spine becomes misaligned, it can lead to either acute or chronic pain. It is becoming more and more common for patients to seek help from a Pottstown chiropractor in order to help with spine related ailments, such as after a car accident, after suffering a sports injury, or sustaining a fall. However, a direct link to the spine isn't always necessary. For example, both diabetic patients and those with fibromyalgia that experience nerve pain are frequently helped through chiropractic care. The thing that most people think of when considering a Pottstown chiropractor is spinal adjustments, and this is one way that many chiropractors treat their patients who are experiencing pain. In addition, Tricounty Chiropractic and Rehabilitation also helps alleviate pain with methods such as spinal decompression to treat herniated discs or with various rehabilitation exercises, and may even try to lessen pain through physical exercises and dietary changes. For each patient, the path toward less pain is a little different than it is for another. 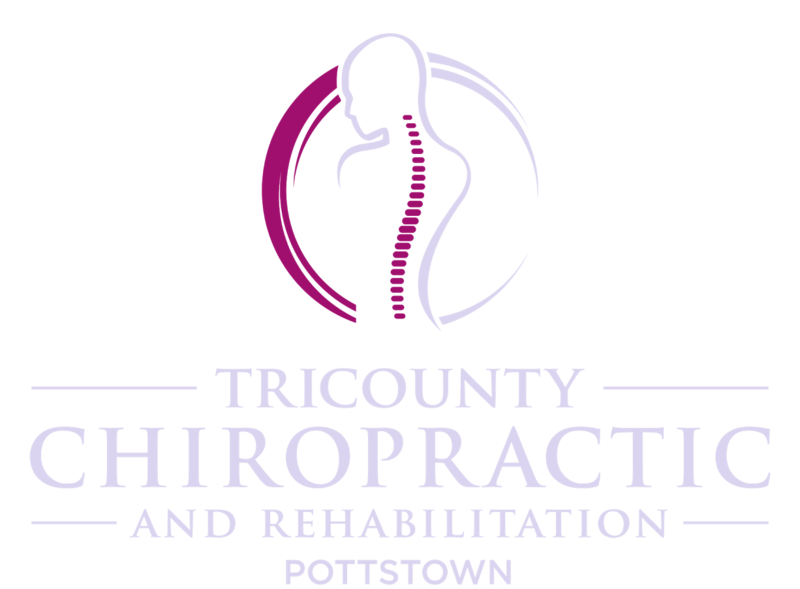 To learn more about what we can do for you at Tricounty Chiropractic and Rehabilitation in Pottstown PA, contact us at 610-327-8090 to schedule an appointment.